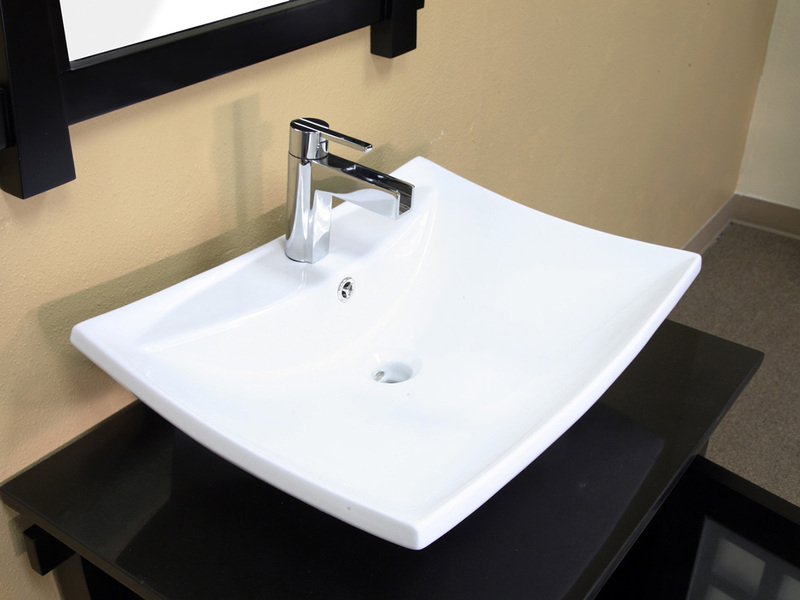 The Canela Single Vanity combines modern style, vessel sink design, and Asian influences to create a great looking contemporary vanity. 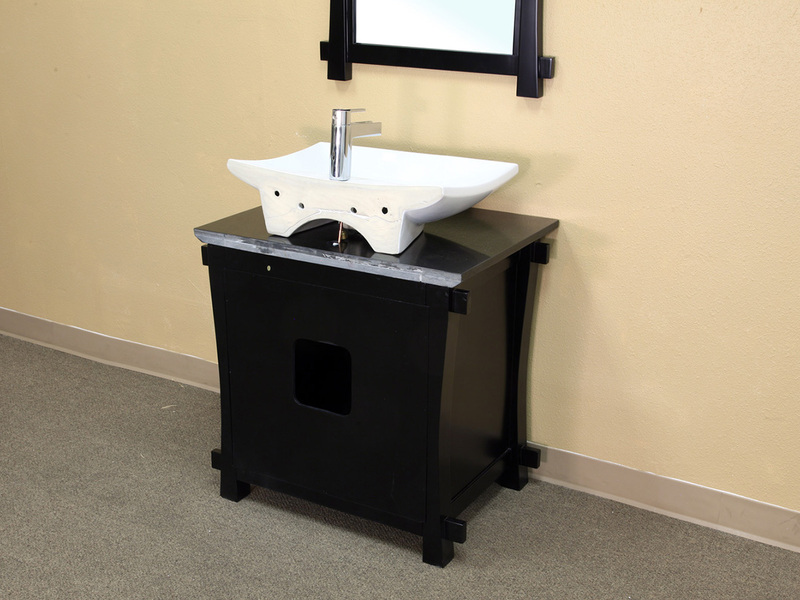 This vanity features a white ceramic vessel sink that sits atop a beautiful black marble counter top. 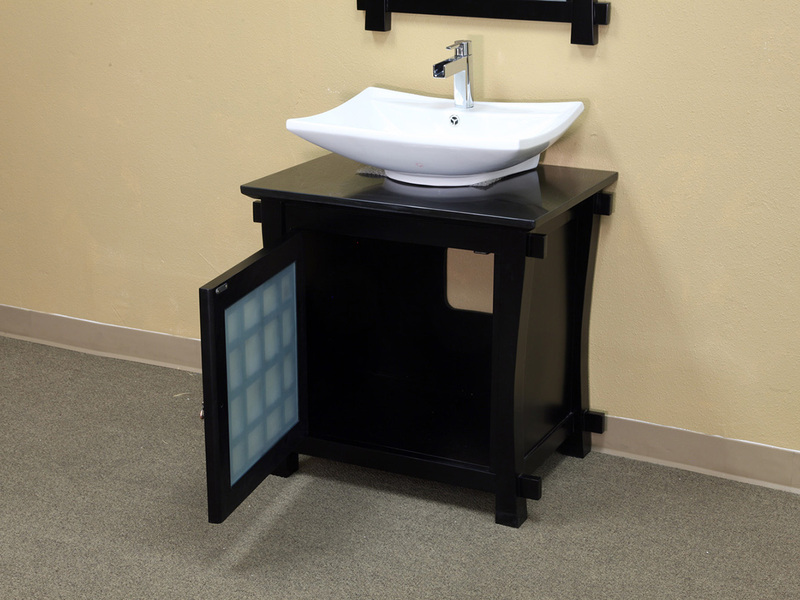 The body of the vanity is constructed from solid birch wood and is protected by a water proof black finish, preventing damage from bathroom humidity. 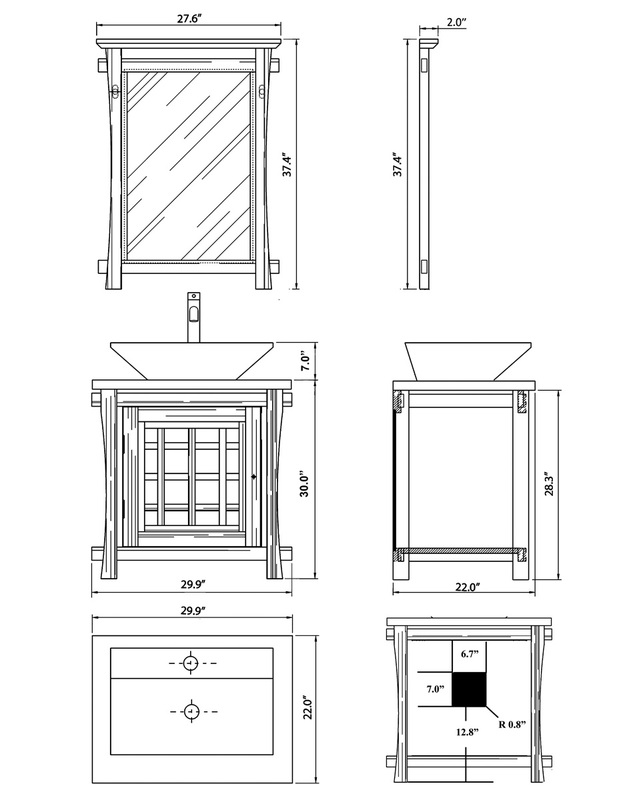 The cabinet door features a window panel design with a frosted glass panel and antique brass handle. 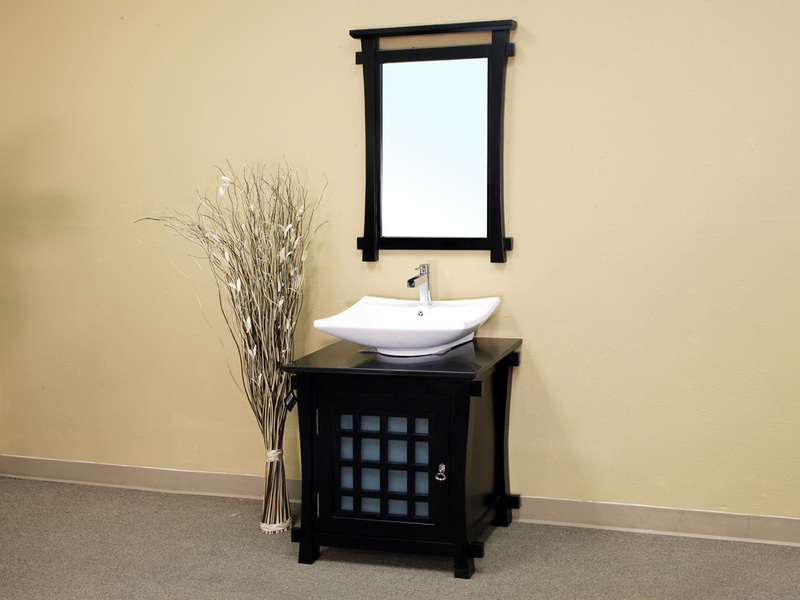 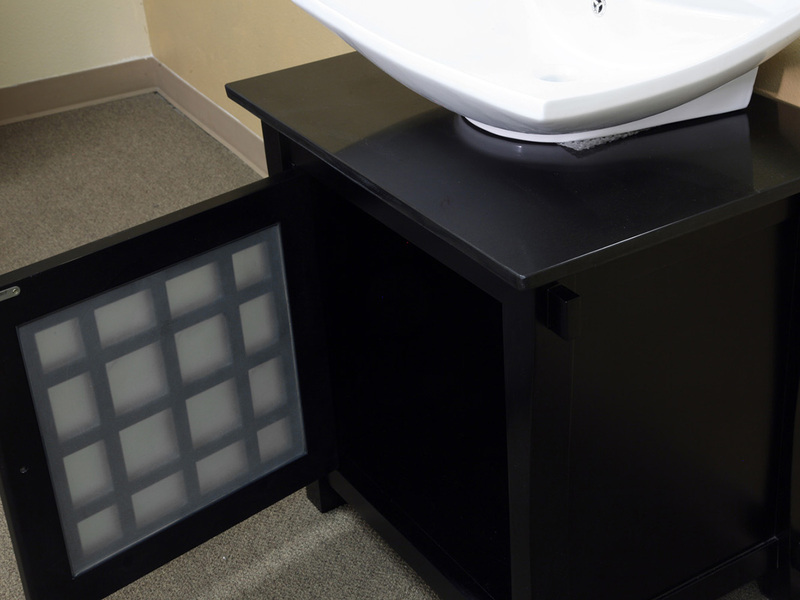 With its great style and sturdy construction, this vanity makes it easy to add some Asian flare to any modern bathroom. 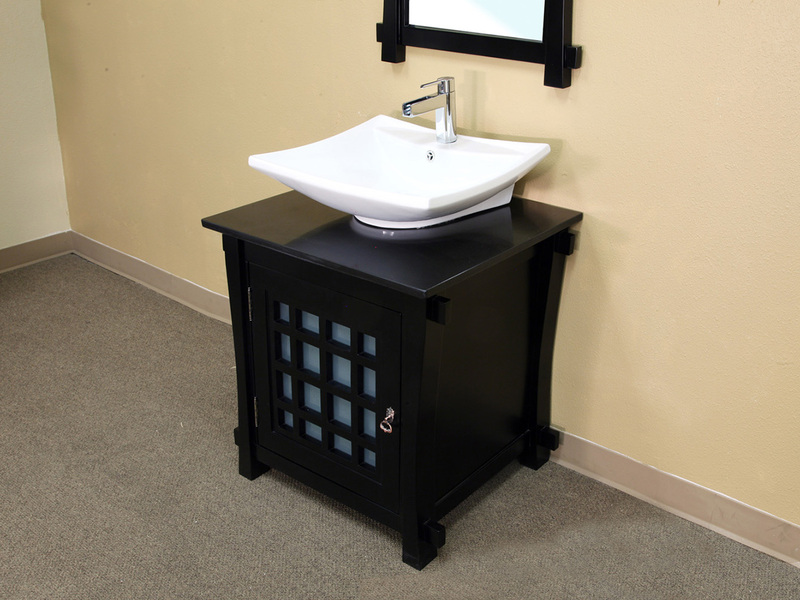 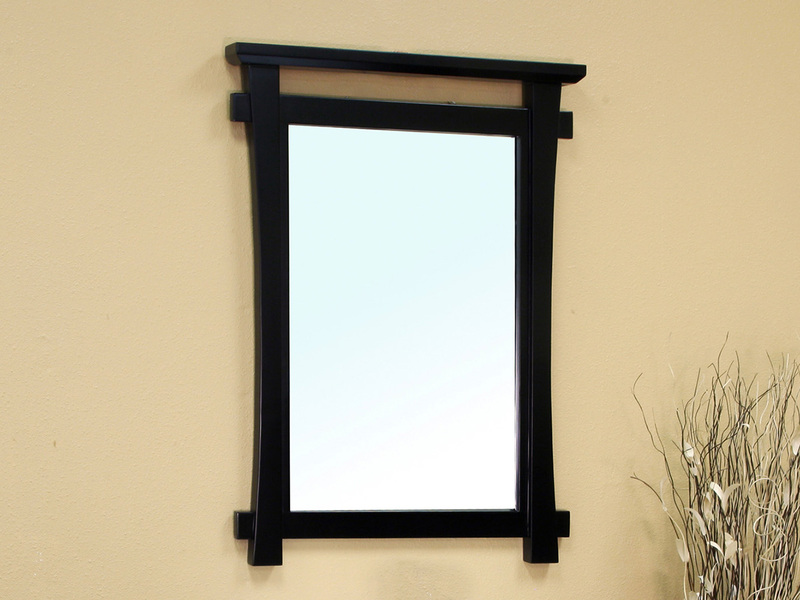 A matching mirror is also available with this vanity to complete its look.